Today’s main news: Wells Fargo is closing branches left and right. Repeal of payday lending rule under consideration. Moody’s assigns provisional ratings to SoFi Professional Loan Program 2018-A-LLC. RateSetter leads in personal loans. Curve launches. Victory Park Capital looks overseas. Today’s main analysis: How Lendix blazes a trail in SME lending. Today’s thought-provoking articles: Why regulation is crucial. Wells Fargo is closing branches left and right. Is KinerjaPay the crypto to own? Fintechs snagged a third of African investment in 2017. Moody’s assigns provisional ratings to SoFi Professional Loan Program 2018-A-LLC. Better Mortgage expands into Texas. Lend Academy interviews Laurel Road CEO. Mixed report on student loan refinancing. Reliamax: More private student loans. CreditVest opens crowdfunding advice firm. M1 Financing criticized for going free. Tipalti launches payables automation partner program. Stockholder inspection rights in Delaware. P2P lending could be a lifeline for landowners. Marketsflow raises 562K GBP on Crowdcube. 4 technologies driving change in financial markets. Beyond PSD2, GDPR, what guides visitors through open banking? One fourth of very low-income households are behind on debt repayment. Regulator says fintech must serve the real economy. Robo.Cash shares insight on investor activity. Swaper offers one-click portfolio investing. Ethereum creator releases new ICO model. RateSetter leads in personal loans. Is KPAY the crypto to own this year? There’s still a market for short-term loans. Wells Fargo is charging toward its goal to cut over 800 branches by the end of 2020, it said in a presentation of its fourth quarter earnings on Friday. Wells, which has been struggling to cut costs while it continues getting hit with legal fees following its various scandals, expects to save $4 billion as a result of the plan. Moody’s Investors Service has assigned provisional ratings of (P)Aaa (sf) to Class A-1 Notes, the Class A-2A Notes and the Class A-2B Notes to be issued by SoFi Professional Loan Program 2018-A LLC (SoFi 2018-A). The collateral underlying the transaction consists of SoFi’s private student loans, which are loans the government does not guarantee. Our cumulative net loss expectation for SoFi 2018-A’s loan pool is approximately 2.0%. Magilla Loans, a search engine for loans that connects borrowers to banks without requesting personal information, announced it has surpassed $4.5 billion in aggregated loans from top banks across the U.S. The Magilla platform provides business owners with access to multiple financing options, including access to business, home and real estate loans. The shoot-the-moon robo strategy of NextCapital Advisers Inc. is looking up now that John Hancock Financial Services Inc. has come out of pilot and State Street Global Advisors became a partner in going after RIAs. The Chicago-based digital advisor, founded in 2013, announced it more than doubled its backing with $30 million of venture round led this time led by Oak HC/FT of Greenwich, Conn. See: NextCapital raises $16 million as its founder goes where Financial Engines’ 401(k) robo strategy didn’t. All told, the firm has raised $54 million: Six million dollars in August 2014, $18 million in 2015 and, just recently, this $30-million round. Better Mortgage, a digital mortgage company focused on improving access to home financing for a new generation of homeowners, is now available to Texas homebuyers. Better will now be able to serve more than half of Americans who are looking to own or currently own a home. In 2017, Better expanded its footprint in major real estate markets around the country, with Texas being the latest licensed states. Texas is Better’s 14th market. In 2018, they expect to continue their expansion, focusing on geographies that help first-time homebuyers invest in their communities by putting down roots. The history of Darien Rowayton Bank. Why Gary decided to buy this small community bank in 2010. How the bank has grown since Gary took it over. How student loan refinancing first got on his radar decades ago. When DRB originated their first student loan. The advantages of being a bank and a fintech platform. Some of the affiliate partnerships DRB has. Other verticals where DRB has offerings today. Why DRB rebranded to Laurel Road in 2017. The scale they are at today with student loan refinancing. How their loans have been performing to date. The profile of their typical borrower. How they market their offerings. What the future holds for Laurel Road. More than 45 million Americans have borrowed $1.45 trillion in student loans to help pay for their post-secondary educations. Repaying those loans can be tough, especially if the loan amount is high and pay for the first job after graduation is low. Average credit score of an approved refinance applicant is 764. Just over 58% of 2017 applications are denied. The average interest rate on a refinanced loan is 5.56%. The average rate rose 74 basis points year over year from 4.82% in 2016. The average size of a refinance loan was $66,453. The 2017 average was more than 23% higher year over year. Less than half of approved applicants actually end up refinancing their loans. In 2016, just over 33% of all applicants completed the loan process. With all the excitement around online lending, there are still some spaces that have a long growth runway. One of the most persuasive growth opportunities is private student lending. Macroeconomic and policy changes are contributing to the growth thesis but so too are the number of local lending institutions that want to move into this asset class. The cost of education continues to increase and the number of kids in school isn’t declining. So, it’s a big opportunity. Really, we have to talk about the cost of education. The cost of higher education in the U.S. today costs over $400 billion a year. About 25 percent of that is free money (grants and scholarships). Another 25 percent is federal student loans. The remainder — about $200 billion a year — is really family contributions. If you look at the total outstanding student debt, there’s about $1.4 trillion in federal student loans and $100 billion in private student loans, comprising only about 7 percent of total outstanding student debt. Jon Mauro founded Realty Mentors with Andrea Humphrey, who is president and owner of CreditVest, to focus on individual investors who want to participate in commercial real estate crowdfunding. Zelle is spending “tens of millions” of dollars on a television ad campaign featuring spoken word artist Daveed Diggs. Early Warning, the bank-owned consortium behind the peer-to-peer payments platform, aired the first ad Saturday during the National Football League’s divisional round of playoff games and will continue to run them alongside unifying cultural events like the Grammy Awards, the NBA All-Star Game and the Super Bowl pre-game show. They’ll also run during popular shows on Bravo, Comedy Central, The Discovery Channel, ESPN and MTV. Zelle is trying to build some brand recognition for itself among its target audience, mobile users, in an effort to compete with Venmo. M1, which was founded by CEO Brian Barnes when he was 25, originally charged users 25 to 40 basis points to use its platform, which allows users to buy fractional stocks and invest in pre-built portfolios. In December, it decided to go free, and make money strictly on the backend, by selling flow to trading firms and lending out non-invested funds sitting in users’ accounts to banks. The company also plans to offer margin trading to its users. Since going free in December, M1 has seen daily inflows hit as high as $1 million, and a 10-fold increase in the number of new accounts each day. Still, M1’s robo rivals aren’t convinced the strategy will work for the small company. Tipalti, the leading global payables automation platform, today announced the launch of its Partner Program, which will offer accounting firms, financial institutions, system integrators, ERP resellers/VARs, consultants, and partners who work with the office of the CFO, the ability for their clients to leverage Tipalti’s software to eliminate the friction, risk, and time spent on manual accounts payable operations. In a call with Curve founder and CEO Shachar Bialick, he described the consumer launch as a major milestone for the company, noting that 50,000 people have signed up to its waitlist, in addition to the 100,000 or so users who joined Curve in its beta phase. It’s free to join, although a premium version of the Curve card is also available for £50 that offers additional perks. Folk2Folk champions local lending because we believe in creating financially and socially sustainable communities by matching local businesses with local lenders. Marketsflow, a new digital wealth management platform closed its fully funded investment round via equity crowdfunding. Initially looking to raise £210k, the fundraise has seen more than £562k of commitments from nearly 800 investors giving Marketsflow a pre-money valuation of £2.4m. • Marketplace lending: crowdfunding or peer to peer lending, with the potential for “disintermediation” of the financial institution that used act as middleman for loans. • Big data and AI: you might just have seen it in the newspapers. But it’s closer than you think: if you’ve applied for a credit card, according to Chapman, chances are that a machine took part of the decision on whether or not to approve you. • Mobile payments: forget branches, even internet banking on a web browser is old hat. Some banks, indeed, exist only as apps (I instantly thought of my Revolut app, which started out offering as a slick currency exchange platform, but is now offering credit). • Blockchain and distributed ledger: different things, but often used in combination. These are “the pieces of technology that underpin the Bitcoin phenomenon”. It’s not just media hype, either: Clifford Chance is “seeing a lot of work in this space”. Rather than rely on venture capital trusts and angel investors, many new businesses are using crowdfunding to get off the ground. In fact, UK platforms such as CrowdCube and Angels Den have raised over £72 million from investors this year. Peer-to-peer lending allows you to loan money to people through online platforms, without a bank. These agreements are arranged through peer-to-peer lending platforms such as Zopa, Prosper and Lending Works. These peer-to-peer companies are typically FCA regulated and they organise credit and ID checks as well as set interest rates, collect payments and pay your returns. When branch banking was the mainstream method of service distribution in financial services, both a bank’s customers and potential business partners could follow clear signs that directed them where to go and who to contact. The first sign that a bank sent its customers and potential business partners was the geographic location of a bank branch. One in four very-low income households are struggling to pay bills or debt, with 10 per cent spending more than a quarter of their salary on credit card repayments, a report has found. Data from the Institute for Fiscal Studies (IFS) showed one-sixth of the poorest households in Britain were in arrears on repayments and bills. A further 10 per cent were spending at least a quarter of their monthly income on unsecured debts, such as credit cards and payday loans. At the same time, both have proved massively popular in China which accounts for roughly half of the world’s digital payments and three-quarters of global, online P2P lending volume, according to Pricewaterhouse Coopers. For one, default rates are higher than anticipated on peer-to-peer lending platforms. Also, instead of being disrupted by the fintechs, traditional banks have entered the peer-to-peer lending space to become the dominant players, he added. Jiang Yang, vice chairman of China’s Securities Regulatory Commission (CSRC) was speaking at the Asian Financial Forum to an audience of fintech entrepreneurs. The development of fintechs should benefit the real economy and not “a small group of people”, he said in comments reported by the Nikkei Financial Review. The European Investment Bank Group (EIB), CNP Assurances, Eiffel IM, Groupama, Zencap AM, Matmut and Decaux Frères Investissements are among the first investors joining to finance Lendix’s latest investment vehicle to fund unsecured loans to SMEs in France, Spain and Italy. New institutional investors from banks and asset management firms in Spain and Italy are joining. As of now, €120 million of the planned €200 million are already committed and the first loans from this fund will start rolling out as soon as February. Millennials of 25-34 years of age invest about €679 on average making frequent deposits in comparison to the younger age group. youris.com met Sissy Windisch, from the German company Green Crowding, who published a guide for new small investors, to allow them to make the best decisions. The document was released under the EU project CrowdFundRES. This is a different kind of crowdfunding, unlike what platforms such as Kickstarter do? With Kickstarter you donate money, so a comic book for example can be published, or you just want an artist to keep on creating art. Instead, the type of crowdfunding we are interested in is debt-based, which means that you get your money back plus interest. If you finance a solar roof on a school for five years, you get 3% every year and at the end of five years you get your money back. Could you tell us more about debt-based crowdfunding? Debt-based funding is already one of the largest types of crowdfunding. I would say one of the biggest areas in terms of funding volume at the moment is real estate. I think for 2016 alone the funding was estimated at around 3.5 billion dollars. Why can’t the traditional financial institutions, such as banks or investment firms, offer these services? What we’ve often seen, particularly for renewables, is that banks and other traditional financial institutions often look for large projects to invest in. They prefer investing in one 50-million wind park than in 500 small photovoltaic installations. Swaper CEO Peteris Kisis: Swaper is a loan marketplace offering an easy investing in pre-funded consumer loans originated by its parent company Wandoo Finance Group in Poland, Georgia, Spain, Denmark and Russia. All investments offered on our marketplace start from 12 percent annual interest and are BuyBack guaranteed, meaning Swaper will compensate investors both for the invested principal and accrued interest in case the borrower is late with payments. Victory Park Capital, a Chicago-based investment firm, has been a vital source of debt capital for a string of online lenders, including Avant, Elevate and LendUp, all of which focus on borrowers in the subprime segment. Total commitments and investments come to about $6.5bn from more than 90 deals, mostly in the US. The firm, which was founded 10 years ago, is seeking to add to a portfolio including zip Money in Australia, Kreditech in Germany and Oakam in the UK. Interest rates for personal loans listed on RateCity range from as low as 3.57 per cent to as high as 48.00 per cent. 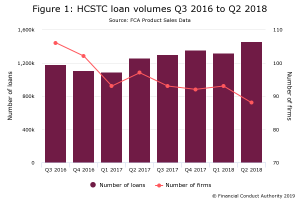 The average personal loan interest rate was 11.89 per cent at the end of December, according to an analysis of the dozens of lenders listed on RateCity. RateSetter, a peer-to-peer lender, has a one-year unsecured personal loan with an advertised rate of 3.57 per cent and a comparison rate of 3.92 per cent. The little-known Indonesian digital payments company KinerjaPay (KPAY) reported another blowout quarter in December with sales that topped the previous 3 month period by a whopping 1,100%! KinerjaPay is a digital payments platform in Indonesia and South Asia, and the company ha been growing at an astronomical rate in the last year. In the third fiscal quarter of 2017 ended September 30, 2017, the company posted quarterly transactional revenue of $1.76 million, an 1,183% increase over $149K in the second quarter. User growth is accelerating as the company brings on more partners for digital payments and bill pay capabilities in a region of the world where a fraction of people have a bank account or credit/debit card. The rate at which KinerjaPay is adding customers grew 58% in the 3rd quarter; the company reported 10,962 new users compared to 6,904 new users in the same quarter of last year, demonstrating just how fast they’re adding users for a small emerging company. Asian equity markets on Tuesday found their footing after some initial softness, leaving Hong Kong’s benchmark at a record closing high. The Hang Seng rose 1.8% to 31,904.75, topping the previous high set on Oct. 30, 2007. Japanese stocks rebounded from Monday’s selloff, with a weaker yen helping the country’s exporters. The dollar gained 0.2% to ¥110.7200, pushing the Nikkei to finish up 1% at a fresh 26-year high. The success of mobile money technology like M-Pesa in Kenya and across East Africa has long shown the potential for other underserved markets. M-Pesa’s success is likely also behind for the increasing presence of mobile networks in the African financial sector and the convergence of the two sectors (pdf page 11). Nigeria, South Africa and Kenya remained the countries with highest funding raised, consistent with their record from previous years. Payday loan licences in Alberta have fallen by more than one-quarter, to 165 from 230, and industry officials predict even more payday loan stores will be shuttering their doors this year. Before then, rules around payday loans in Alberta allowed for the second-highest interest rates in Canada, with lenders being allowed to charge up to $23 for every $100 borrowed, up to a maximum of $1,500. Now, the rate is $15 per $100 — touted to be the lowest in Canada — and borrowers are allowed to repay the the loans in instalments over two months. Lenders are also no longer allowed to penalize customers for paying back loans early and must restrict the number of times a lender can make preauthorized withdrawals.